I am so proud of every member of the band as Youth Brass 2000 has been so busy over the past few months. 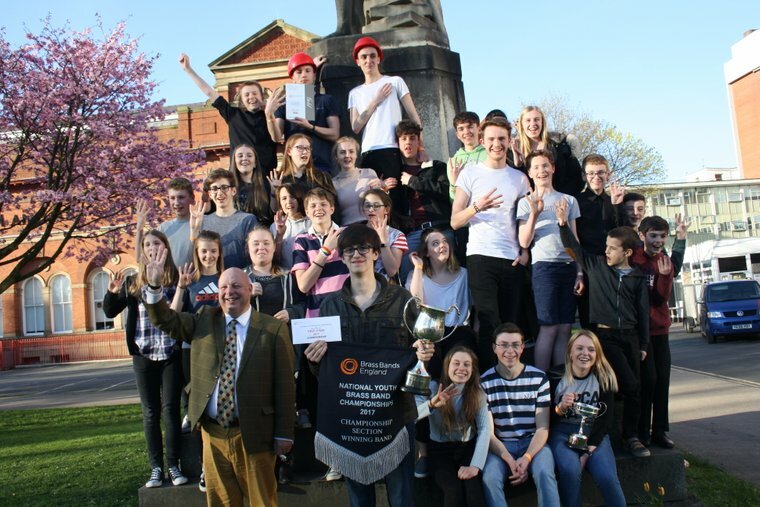 So Youth Brass 2000 has put themselves into the history book to be the first ever youth band to achieve four wins in a row at the National Youth Champions of Great Britain in the Championship Section. Add this to winning a double hat-trick of wins at the British Open Youth Championships in 2017 is just a dream come true. I have been the Artistic Director of Music since the band was formed exactly 28 years on the day of the National Youth Championships so this is so special! To win the championships once is fantastic but to win it 4 years in a row is simply in unbelievable!! Brass banding journalists 4barsrest were at the contest, Click here to see what they had to say about us! 4barsrest are the leading provider of online brass band news and views. Click below to read their contest review!